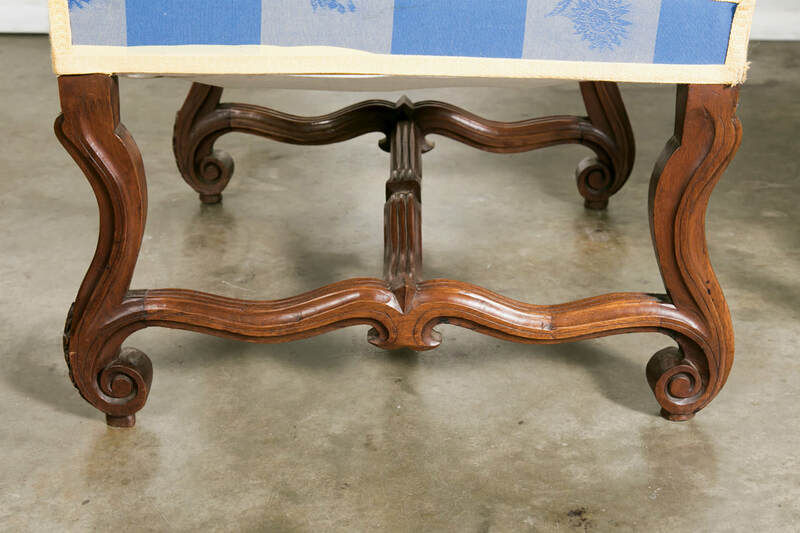 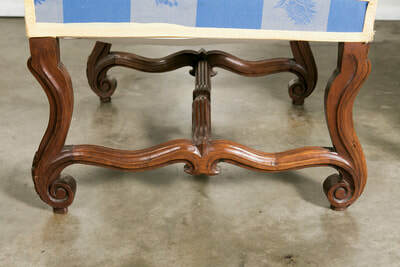 Beautifully carved pair of French Louis XIV style walnut fauteuils. 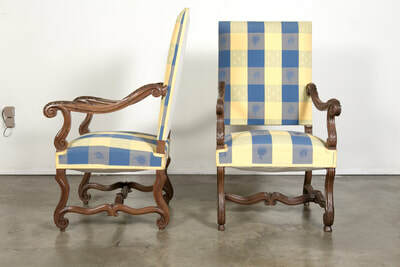 Each with a high rectangle back and square section seat. 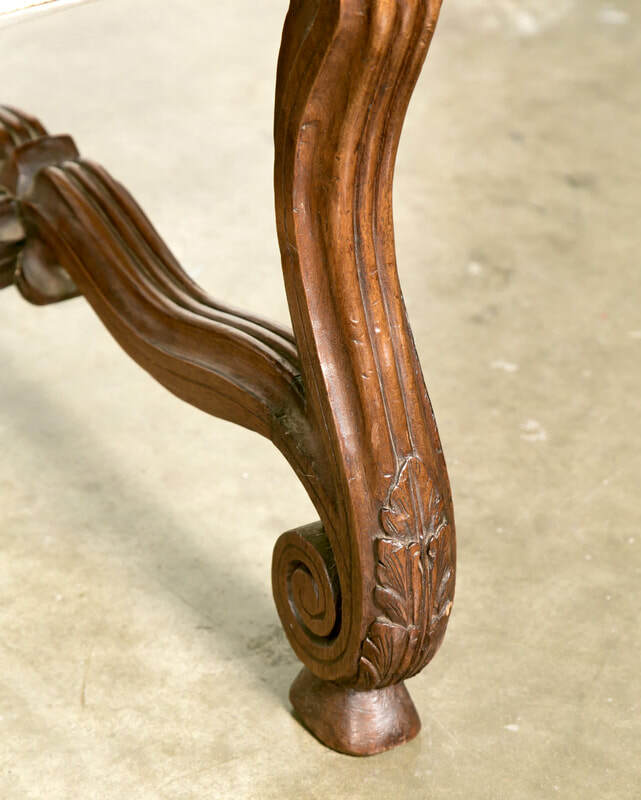 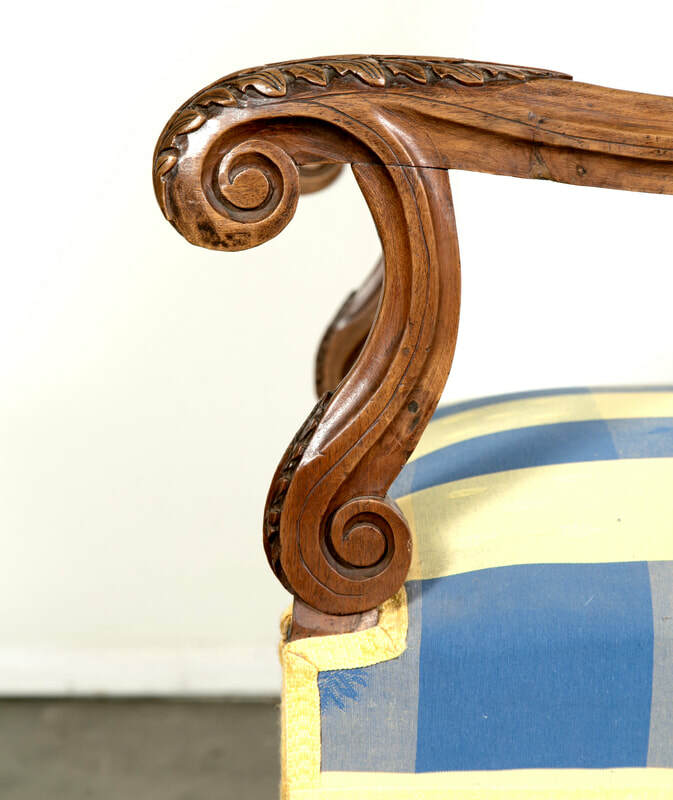 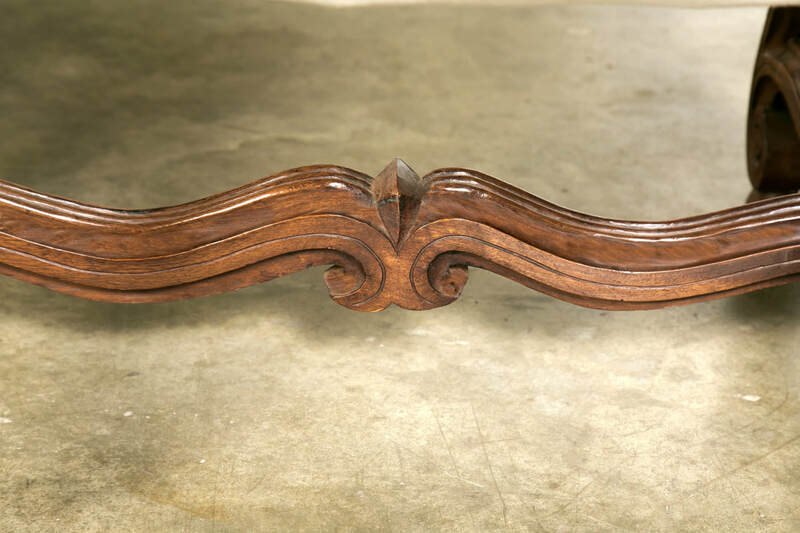 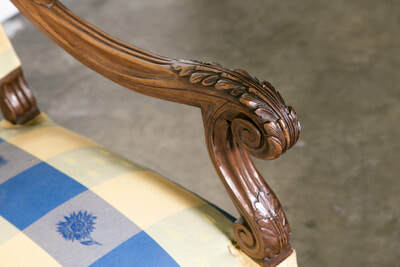 Down-swept scrolling arms with volute acanthus carved armrests, having conforming scrolled legs joined by shaped, carved stretchers. 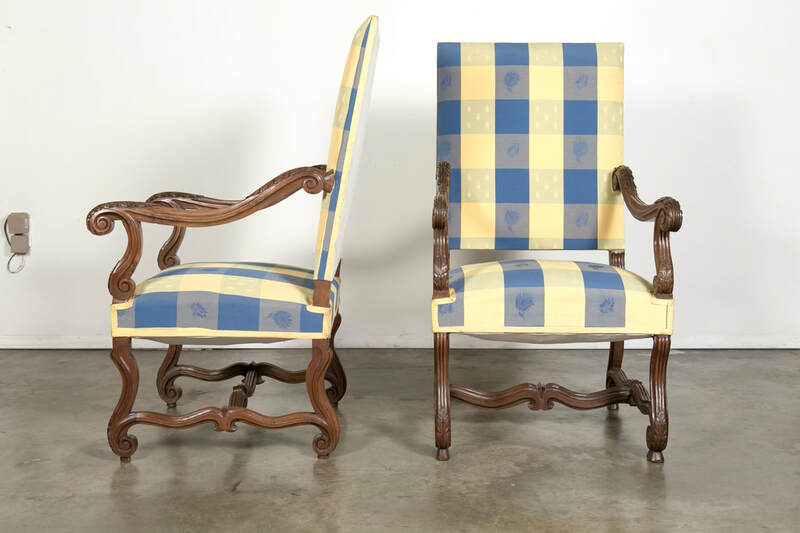 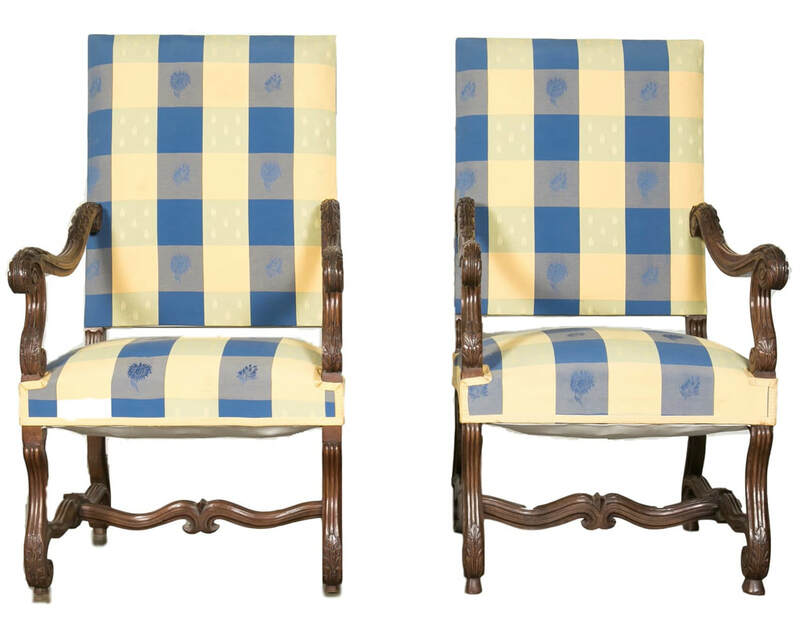 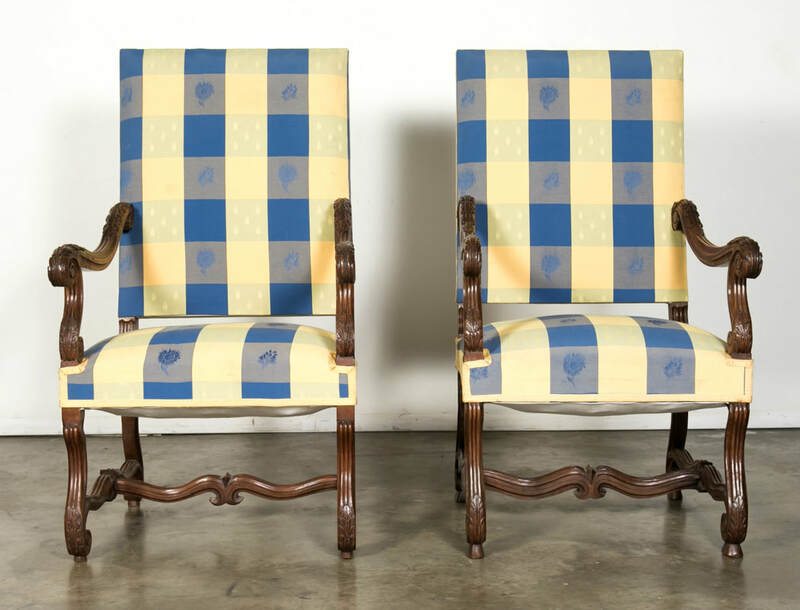 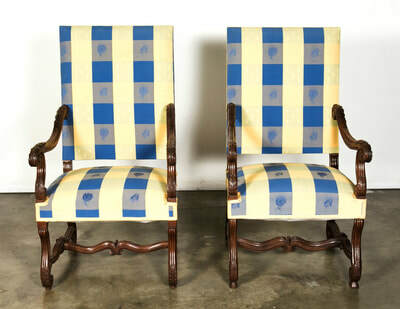 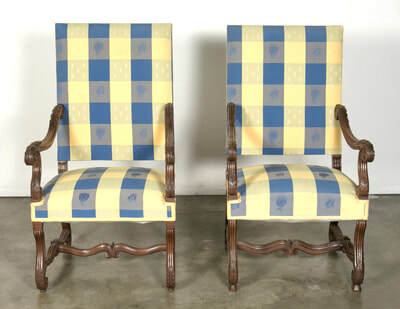 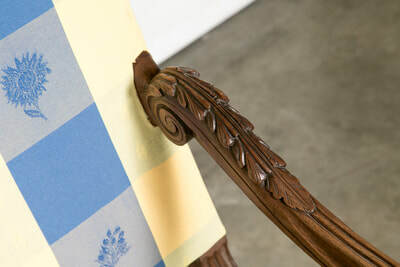 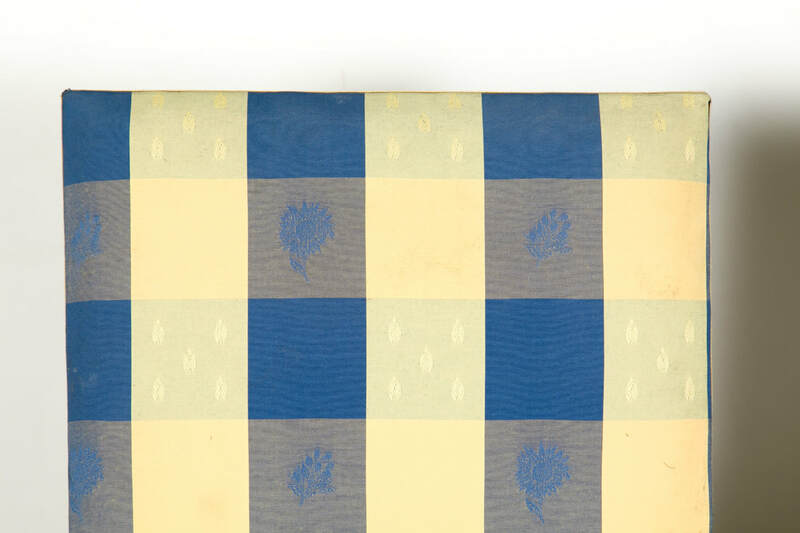 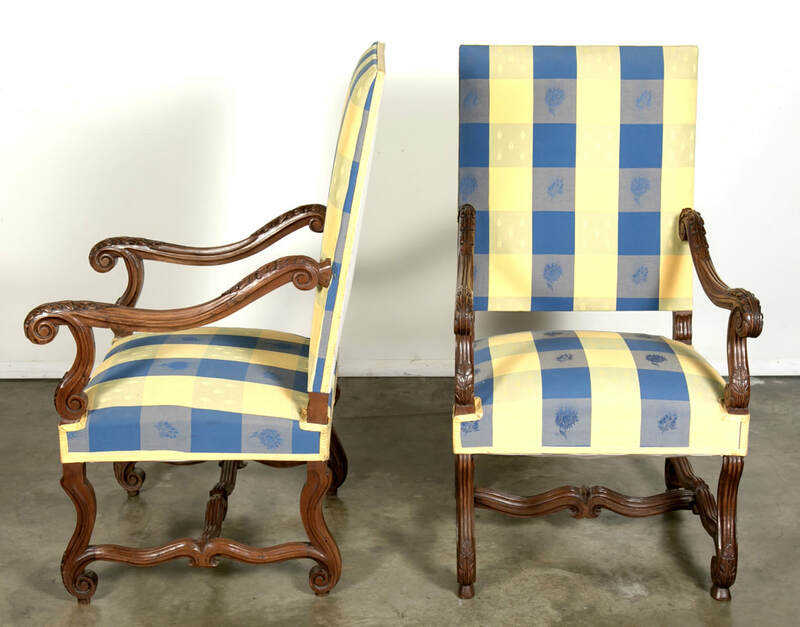 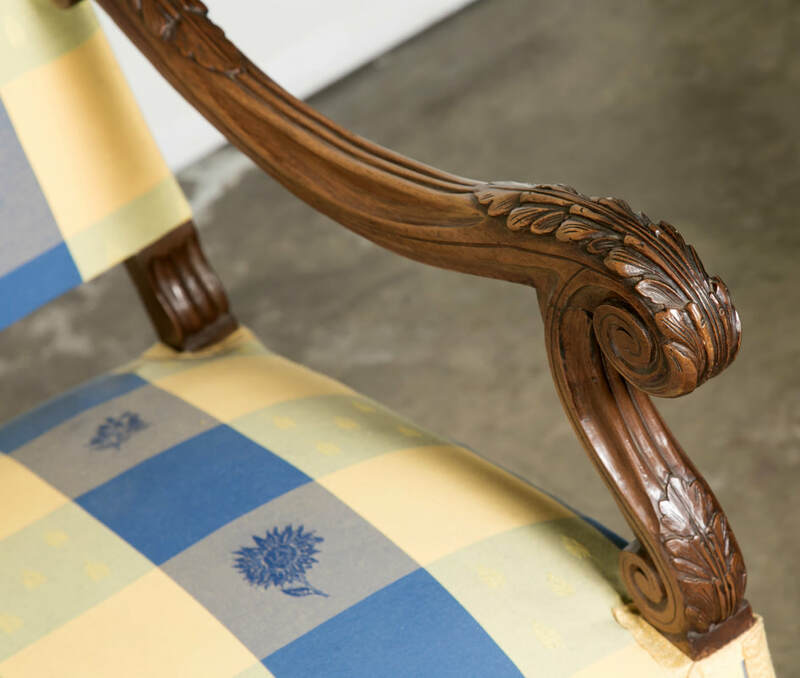 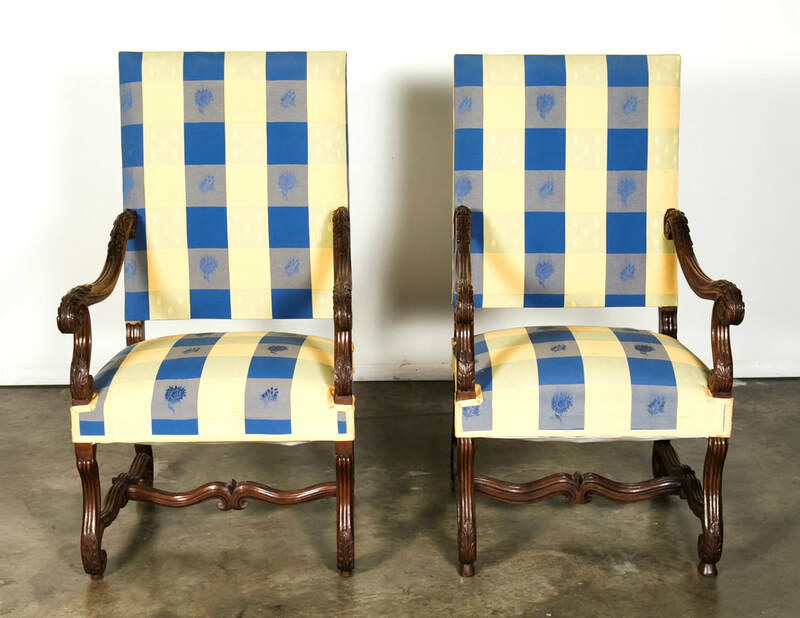 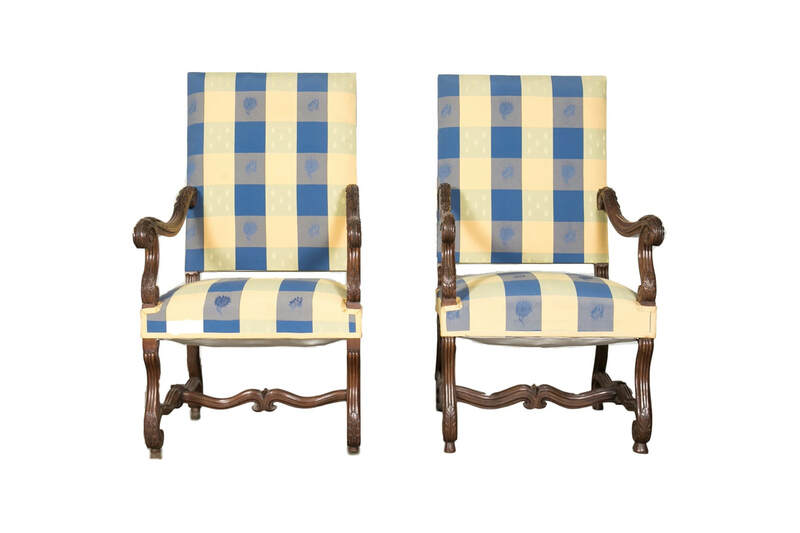 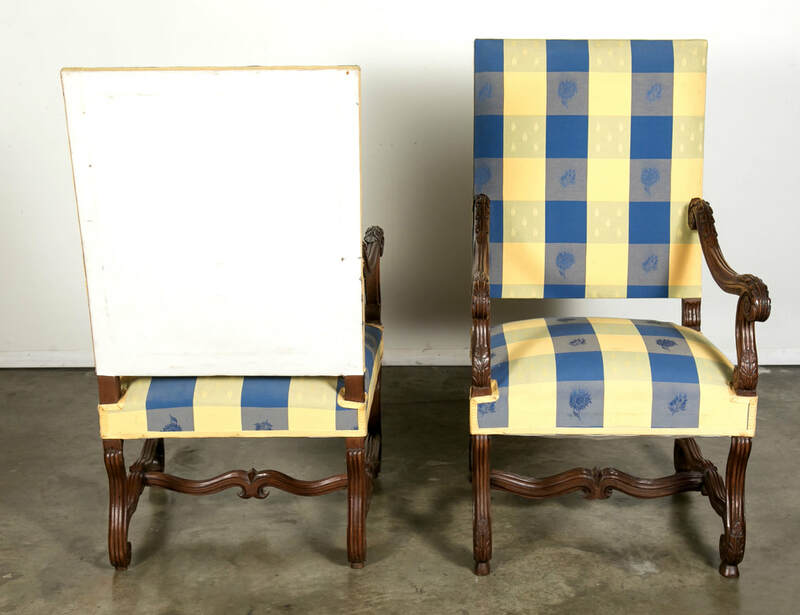 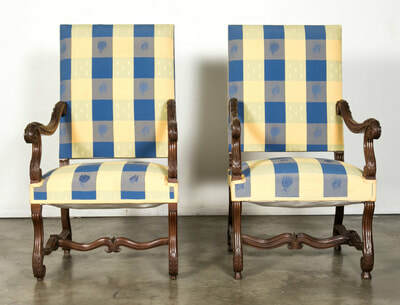 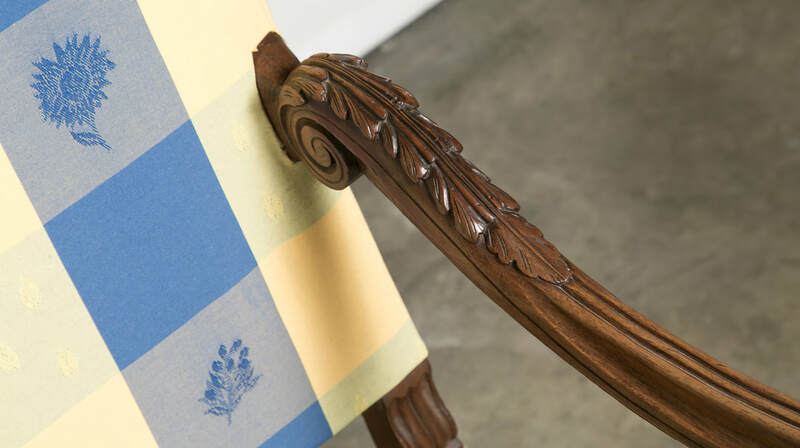 With a deep rich patina, this large and comfortable pair of his and hers throne chairs will bring the colors of Provence into your home with the yellow and blue plaid upholstery and make an elegant addition to the living room or library. 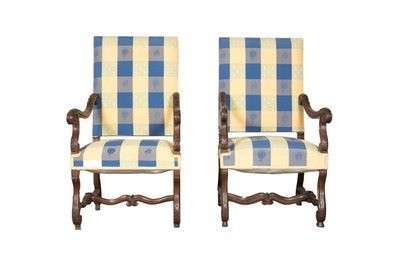 Perfect for the husband wanting a roomy chair. 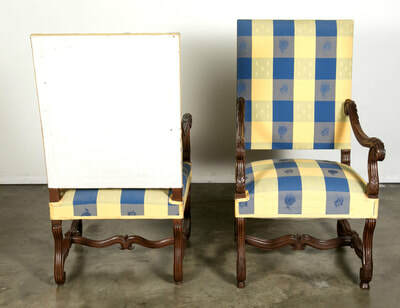 back h - 46" seat h - 18"